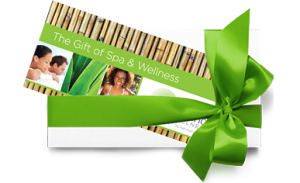 Skin Innovations spa gift cards are the perfect way to pamper your friends and loved ones. Send them into our spa for a luxurious skin care service, a deeply relaxing massage, or any of our rejuvenating spa treatments. Skin Innovations gift cards make the perfect gift for everyone! To purchase your spa gift cards online, just select the denomination you’d like to buy from the drop-down menu below. Once you click the ‘Buy Now’ button you’ll be redirected to PayPal, where you can update quantities and complete your transaction using a credit or debit card, or your PayPal balance. If you need a custom denomination, please contact us at frontdesk@skininnovations.com.